1919, Insomniac Edition, Paris 1995. In the Golden Age of ‘actually non-existing socialism’ journeys were organised to the countries of the radiant future. Believers were then invited to express their enthusiasm for a reality staged by the lords of the manor. In this way people visited the soviet socialism of the USSR, the Maoist socialism of China, the miniature socialism of Albania, the bearded socialism of Cuba, the Sandinista socialism of Nicaragua, etc. Woe betide those who contested the objective, scientific and unquestionable character of these fabricated realities. Until the day these systems collapsed. People thought they had seen but had seen nothing! 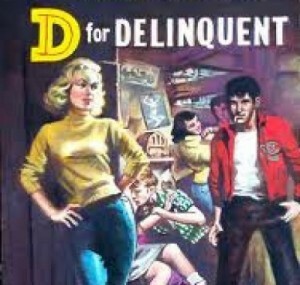 Were lessons drawn from this? It would seem not! With a smile slung over their shoulder, people today again go off “to do revolutionary Chiapas” in convoys organist by fellow travelers of the Zapatistas. On a well-signed route, people have to agree to see only what they have to see and to believe in the leader’s words. The irrefutable argument hasn’t changed one iota: because the imperialist forces are threatening and the people are defense-less, we can only put our trust in commanders. In a world in crisis the demands for the future are revised downwards! People make themselves the advocates of realism — they give in to the essential and side with new oppressive projects. The groups of revolutionary tourists, seduced by the exoticism of the unique Indian culture , are incapable of giving out any information or direct account of what is happening in the Mexican countryside: about the occupations, the forms of organization chosen by the peasants in struggle, their objectives and political perspectives. They are also incapable of expressing the slightest critical element which could enable us to deepen our knowledge of the avant-garde organization running the armed struggle. Was it simply the evocation of Zapata’s name and the memory of a “Mexico Above the Volcano” which was enough to mobilize people? How come they can throw themselves naively in support of a movement which is a vehicle for the values of ethnic identity and patriotism, which are nowadays at the heart of the most barbaric tendencies in the world? Those who have more radical pretensions about the world can only justify their solidarity with this Zapatista army of national liberation in the name of the tactics of circumstance. It’s in this way that, in the name of tactical support, people consider as acceptable for others what is unacceptable for themselves! Rather than let the charms of the balaclavaed Savior lull us to sleep, wouldn’t it have been better to analyze what is new in this type of old organization? The revolts of poor peasants and occupations are phenomena endemic to Latin American societies. To understand the nature of revolt in Chiapas it’s necessary to quickly recap the specifics of this area and its place in the evolution of the social tensions of Mexico. From the end of the 50s numerous Indian peasants, evicted from their individual plots of land (ejidos), spontaneously started to emigrate to Chiapas. The government, later on, encouraged the movement of ‘expulsados’ by inciting them to settle in the forests: “Socially, the lacondonian frontier was a safety valve — an area situated far from the centre of power and where the potentially explosive indigenous and peasant masses from deep Mexico could be put to work. If you want, it was a natural reserve for the poorest of the poor.”  In just a few years, the arrival of these “pioneers of the agrarian southern frontier” had turned the social structure of Chiapas upside down. The decomposition of the ancient Indian communities went side by side with the creation of a new poor peasantry, composing a mixed population (Maya and non-Maya Indians and half-castes). In Mexico, the poor peasantry has always shown a strong attachment to the private ownership of land. This attitude can be explained by the Indians’ aspirations towards a past community and by the heritage of the Mexican revolution. In Chiapas, more particularly, the content of the demands of the peasants’ struggles, never went beyond the framework of capitalist social relations. The political organizations which developed in the mountains of South-East Mexico, made the idea of individual land ownership a component part of their reformist nature. So it is not before the end of the 70s that the first “brigades” of the -Maoist avant-garde arrive in Chiapas, where they again meet their ‘fellow travelers’ of the progressive church, already well-settled in the poor peasant communities. The alliance between these two organizations is constructed around the idea of an ‘Indigenous Church’, based on the principle of the autonomy of dioceses and on the quality of these base militants in their evangelical tasks and in their celebration of the Mass. The Dominicans, who were the majority in Chiapas, subscribed to this idea as it allowed them to carry out their “work on the soul”, whilst the Maoists used it as a means of infiltrating the communities and of creating cadres from the base. The insistence on the uniqueness of Indian culture by these avant-gardes can be explained, above all, by the role played by this ‘Indigenous Church’ during its work of ‘implantation’. Today, it is not easy to establish a clear and straight line from the organisation developing during this ‘implantation’ period to the birth of the EZLN. But what’s for sure is the existence of this link. After a lapse of time other Maoist groups arrived in Chiapas. Marcos himself would have been among one of the last “brigades” . A lot of militants and political leaders disappeared as a result of the merciless repression carried out by the army and mercenaries employed by landowners, as for the survivors,they had to revise some of their conceptions depending on local conditions. Finally, we know that the basic tactics and principles of the leftist Maoists began to reappear in the peasant struggles: the constant resort to assemblies as a means of hiding and protecting the political chiefs. The Mexican Maoists — like their Peruvian counterparts in The Shining Path -had, in their own way, criticised the Guevarist idea of foco. They had understood that political ‘implantation’ would be doomed to failure if it were only the result of actions taken by a small group parachuted into very closed Indian communities hostile to all those coming from the outside. From the beginning, they proclaimed the uniqueness of Indian culture, for tactical reasons. The small groups of militants must have integrated themselves into the communities by using, amongst other things, their links with the ‘indigenous church’. In a second phase, the political organisation adapted its conceptions of leadership to the new historical conditions, characterised by the breakdown of rural communities and by the proletarianisation of Indian peasants. The creation of peasant union organisations was part of this second phase. In 1991 the “Independent Alliance of Emiliano Zapata peasants” transformed itself into a national organisation, an event representing a fundamental political leap. The work of creating a ‘mass base’ was then accomplished and the ‘regionalist’ conceptions — claimed by the self-sufficient Indian communities and defended by the ‘Indigenous Church’ — had been superceded. The time for armed action had arrived. In effect, and according, to this model, the creation of military organisation was to be the final phase of the long political work of ‘implantation’  amongst the population. Today, the Zapatista army, stemming from these ‘mass’ organisations, is only one of the Organisation’s structures; it is its visible part! The texts of the EZLN and Marcos’ declarations often refer to this question. The success of the Zapatista organisation is explained, to a great extent, by the political intelligence of its militants, who proved themselves during this long period of ‘implantation’. The originality of the EZLN is its notable ability to adapt to a situation borne out of the collapse of State capitalism and of the end of the division of the world into two blocs. It is the first avant-gardist guerilla movement to try to find a way of operating in the era of the ‘New World Order’. Its Marxist-Leninist cadres have never criticised the exploitative content of the systems which collapsed. They have simply acknowledged the disappearance of that which remains, for them, socialism: “The Soviet Union is finished — there is no longer any socialist (sic) camp; in Nicaragua the elections were lost; in Guatemala, peace was signed; in Salvador, peace is discussed, Cuba is isolated, nobody wants to hear anyone speaking about armed struggle, let alone socialism; from now on, every-one’s against revolution, even if it isn’t socialist.”  So, what’s left for those Marxist-Leninists who have lost their bases of support, if not their attachment to a backward anti-imperialist patriotism, their eulogy to some national event, and their respect for parliamentary democracy. The EZLN is the first guerrilla movement of the post-communist period, a bureaucracy which has its democratic demagogy as unsold stock. Control over discussion is one of the aspects of the bureaucratic nature of the EZLN. The voices of the rebels of Chiapas are reduced to just one voice, which speaks and writes in the name of all the others! Some defend this in the name of art elitist conception, explaining that Marcos is an ‘artist” and “today’s best Latin-American writer”, the representative “of a handful of very gifted young people”. “He (Marcos) doesn’t speak on their behalf, he transforms his companions into characters in fables or short stories. With this flaunted but collective subjectivity, he invents a new way of saying “I” which resonates with “we” without substituting himself for it, an “I” both open and mutant, which everybody can take as they wish and extend in their own way.”  On the contrary, it’s particularly worrying that that this aspect has been justified by virtually everybody involved in the militant support for this movement. More subtle minds assure us that Marcos doesn’t speak in the name of the people, that he’s only a spokesman. But how can we recognise the words of people if we can only hear Marcos? Only Marcos is able to do it, of course! And so we go round in a circle. Some loyal enthusiasts, however, feel embarrassed by the spectacle of this sub-commander and thus try extra-hard to prove that there is, in this military organisation “a desire to avoid the danger of caudillismo”  But it is what the sub-commander himself partly desires: “What’s new is not the absence of caudillo; what is new is the fact that the caudillo hasn’t got a face.”  For us, this is even worse! In a world of internet networks and virtual reality, the boss’s anonymity is not the end of the boss — on the contrary, it’s the abstract form of authority. The cult of the hero is not superseded — it manifests itself in its pure form. Modernity is revealed to us in the form of a caricature of the past: we thought we’d got rid of Bolshevik avant-gardism only to find o ourselves with the avant-gardism of Zorro. The EZLN is managerialism in a democratic balaclava. However, a careful reading of the prose of the EZLN unveils the existence of a clear separation between “us” (the liberation army) and “them” (the masses). In order to disperse the slightest doubt, we are told that the organization consults tirelessly with the base: there must be plebiscites, assemblies, referendums. It’s a question of “democratic political processes”, of “new political projects”, of “autonomous democracy for all (sic) levels of Mexican society”, of a “new political synthesis” etc. On the other hand, when it’s a question of going further than these hackneyed concepts and of being precise about the real content of the power structures, a vague formula is the rule. In fact, any clear-sighted observer would, without difficulty, find behind the haze, the basic principles of leftist Maoism, of the “torreonism” of the 70s. The Zapatista organisation conforms to this model: assemblies for the base, clandestine political committees at the head (the General Command to which Marcos is answerable). 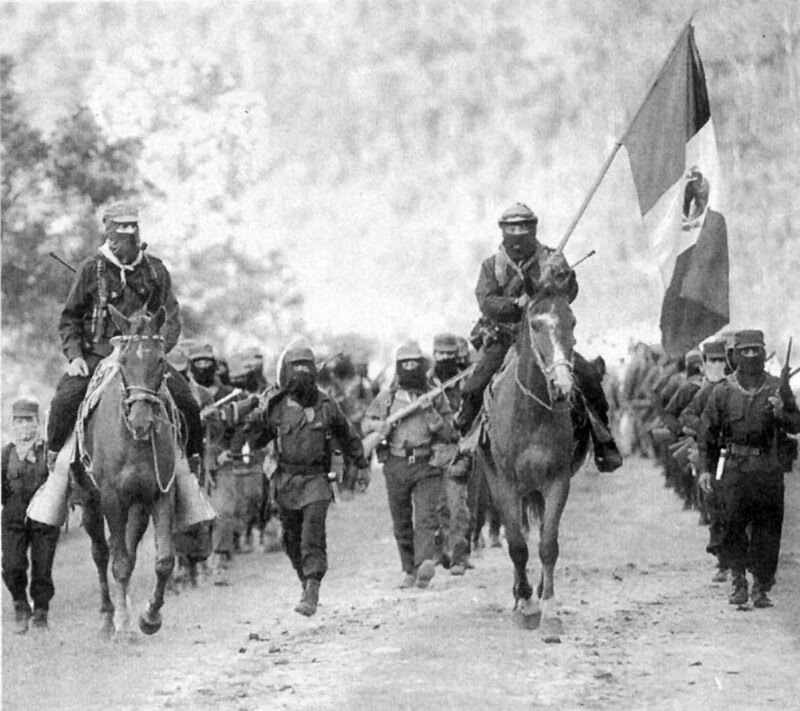 Patriotic themes are omnipresent in the EZLN’s discourse. An observer who was sympathetic towards their actions still couldn’t help but notice that “Marcos himself expresses a fanatical patriotism.”  Without a doubt, patriotic hysteria was one of the defects, reduced to caricature, of leftist Maoism, which later became a variation of democratic nationalism. In the present instance, these themes compensate, through demagogy, for the weakness of their proposals concerning the social question. Any reference to a project of reorganizing production and society is remarkably absent from this discourse. The EZLN wants to be the spokesman for the poor peasantry, traditionally attached to the land; but nothing is said or written either against the right to private property or in favour of expropriations and occupations of land. Yet we know that, at the beginning of ’95, in Chiapas State alone, more than 500 properties were occupied by poor peasants and sub-proletarians. A certain discrepancy between the Organisation and the masses seems to appear…On the other hand, there’s no lack of lists of social “conquests” obtained by the enactment of revolutionary legalism. On this terrain the masked sub-commander is at ease and never fails to enumerate the achievements of the new local administration: “We’ve forbidden the cutting down of trees and we’ve established laws for the protection of the forests by prohibiting the hunting of wild animals…, as well as forbidding the growing and traffic of drugs, and these prohibitions have been respected…And we’ve put an end to prostitution, and unemployment, as well as begging, have disappeared. And the children have become acquainted with sweets and toys.”  Which leaves all those who believe in the impossibility of resolving problems without attacking their causes without a voice. Since when can we get rid of alcoholism or prostitution by forbidding them? Since when has woman’s participation in military tasks and their promotion in the hierarchy of command represented proof of progress in feminine emancipation? From the little we know of the real conditions of the social revolt which is spreading in Mexico, it appears, in decisive moments, that Mexican proletarians find themselves alone in the face of the forces of repression which defend private property. Those who sympathise with the EZLN want us to absolutely believe that the army’s existence represents a shield, a self-defensive force for the poor confronted by the State and the capitalists. That is an elitist argument par excellence: weak people need an armed fist capable of defending them. But the reality is completely different. The EZLN doesn’t intervene when confrontations happen outside the zone which they control militarily. The peasants in revolt are then shot with no bother. This is far from the perspective of those armed groups — which we have known about elsewhere and in other epochs — whose strategy was to bring about a response to the repression wherever it was carried out. Because the EZLN is not a classical armed group — it’s the armed arm of an Organization which controls an area and its population. As long as Mexican proletarians let themselves be taken in by the belief in the self-defensive role of the EZLN, they will have to pay a terrible price. From this point of view (which is ours’), it can be argued that even the existence of the EZLN is a brake on the development of the autonomous capacity for struggle. The raison d’être of an avant-garde organisation is its ability to replace autonomous force by the force of the Party. But we must also recognise that the EZLN plays a dual role amongst the sub-proletarian youth who make up its base. It channels their revolt into military actions, which are controllable by the chiefs, and at the same time gives them a collective identity at a time of heavy social collapse. The events of Chiapas are unfolding at a time when capitalism is going through a particular historical moment. During the epoch when the world was split into two blocs, all the projects of national independence presupposed a submission to one or the other of the capitalist powers. However, the aim of the so-called “liberation” movements was to break the links of such-and-such a country with American imperialism. Nationalist ideology identified itself with Marxist-Leninism, which was becoming the ideology of the ruling class of the new states-in-formation. Since the establishment of the New World Order, borne out of the collapse of the State capitalist system, the nationalist project can no longer aspire towards such a rupture. Any avant-garde organization must review its tactics and strategies if it’s not to be condemned to disappear. As well as putting forward nationalist demands, which exploit the anti-imperialist feelings which are still very much alive in the countries dependent on the centers of capitalism, this type of organization must integrate itself into local political life in order to find there alliances within the confines of the contradictions at the heart of the ruling classes. We know that the EZLN’s military action in Chiapas was launched at the same time as the NAFTA (North American Free Trade Area) came into force — the free trade agreement between the three countries of North America. This agreement wants to create a formal juridical framework, regulating a process which has been on course for years: the seizure by the United States of the two border countries — Canada in the north and Mexico in the south. Taking into account its weakness, the consequences for the Mexican economy are very important: the closure of uncompetitive industrial units, the destruction of traditional agricultural production and the pauperisation of the majority of the population. Added to all this is a drastic disruption of the ruling class, since the economy is characterized by powerful State intervention. The breaking of the bonds, woven over decades, between the nomenclature of the party-State and the private capitalist class is the order of the day. As a result, it’s the whole system of nepotism and corruption which is being threatened. The decay of the political class — the Institutional Revolutionary Party (PRI) — and the decomposition of the bureaucratic control network of civil society, are not recent: the student revolt of the 60s and the movements of self-organization following Mexico’s earthquake have already shown that. Today we are at the stage of rotting putrefaction and the situation is such that there’s a bloody settling of scores at the very top of the PRI’s nomenclature. The neo-liberal tendency demands the elimination of the bureaucratic constraints which constitute the basis for the survival of the old sections of the PRI. Of course, the alliances between the different tendencies are far from being made on any clear basis since many of the partisans of neo-liberalism also come from the corrupt and speculative sectors of the PRI. There, as elsewhere, the members of the State bureaucracy transform themselves into ferocious defenders of a savage private capitalism. Within the Mexican bourgeoisie there are many who don’t wish to conform to the demands of North American capitalism. We can assume that the military action of the EZLN and the anxiety which it has aroused amongst multinational capitalist circles could have become a stake in the conflict between this tendency and the defenders of American interests. The changeover to American control of Mexican petrol — an operation which came about under the cover of the cancellation of the debt — has re-activated these -antagonisms, and exacerbated the nationalist feelings of the bourgeoisie. See: J.Eric S.Thompson, ‘Grandeur and Decadence of Mayan Civilisation’, Paris, Bibliotheque Historique Payot, 1993. ‘Witness of the Ancient Word’, p.48, translated from Nuhauti by Jacqueline de Thirand-Forest, Paris, La Difference, 1995. Ruggiero Romano, ‘The mechanisms of Colonial Conquest: the Conquistadores’ (p.46), Paris, Flammarion. See B.Traven’s text “From the Mountains Of South-East Mexico”, Paris, Insomniac, 1994. Americo Nunes, “The Revolutions of Mexico” (p.151), Paris, Flammarion, 1975.In this brilliant critique of the myths of progressives about the Mexican Revolution, the author shows, in particular, that “the libertarian slogan ‘Land & Liberty’ was falsely attributed to the Zapatista movement” when in fact it had been devised by the liberal party of the Magon brothers. See also, ‘The Mexican Revolution’ by Ricardo Flores Magon, Paris, Spartacus, 1979. Ibid, page 148 and p.150. Based in the State of Sonora (north-west Mexico) the Yacqui tribe revolted again and again against the expropriation of the land. 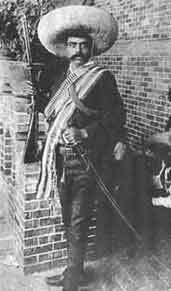 It was finally crushed militarily, in 1926, by Obregon, a revolutionary general who had been allied… to the Zapatistas (T.N. : This is no worse than Makhno allying with Trotsky). Antonio Garcia de Léon, “Los motivos de Chiapas”, Barcelona, Etcetera, November 1995. The poor peasants of Chiapas, where historically the frontiers have little sense, are becoming “Mexican Indians” thanks to bureaucratic thinking. Who is Indian? Who’s Mexican? Who’s Guatemalan? Once more, a problem which seems to escape the devotees of the Zapatista cause. ‘Rebellion from the roots’, John Ross, Common Courage Press,1995, p.257. An example: the municipality of Ocosingo had a population of 12,000 people in 1960, and one of 250 ,OOO in 1990. See John Ross, ibid. A. Garcia de Leon, op.cit. In this part of the text I have largely used the “work of John Ross’s “Rebellion from the Roots” op.cit. See especially the chapters “Back to the Jungle” and “Into the Zapatista Zone”. It’s in this way that the connection between the cacique Indians of the government party, the PRI, and some chiefs of the Politica Popular can be established. Two big Maoist bosses of that epoch are today high-up managers of the PRI in its official peasant organisation)fl…See, in relation to this, “Revolution from the Roots”, op.cit. p.276. “Rebellion from the Roots”, op.cit p.278. See the interesting analysis of Julio Nogel, in La Jornada, 19th June, 1994, cited by John Ross, op.cit. Interview “The True Legend of Sub-Commandante Marcos”, a film by T.Brissac and C.Castillo, La Sept/Arte, Paris,1995. For a caricature of an example, see “The Zapatista insurgents talk about a year of revolt in Chiapas”, Editions Dagorno, Paris 1995. Regis Debray, “Tomorrow Zapata”, Le Monde, May 1995. H.Cleaver: “Zapatistas — documents of the new Mexican revolution”, 1995. Caudillismo = Leaderism. Since the signing of NAFTA the peso has lost 50% of its value, more than 6000 factories have closed, a million workers have been made redundant, and consumption has gone down 25% (Le Monde, August 9th 1995). Despite the reinforcement of controls, the Mexican-US border is like a sieve. Millions of Mexicans live and work in the USA where their militant engagement is increasingly noticed in the schools, where they live and in their workplaces. VIVA ZAPATA! – ABAJO MARCOS! The obvious contradiction glossed over in the anti-globalisation movement is the virtually uncritical eulogising, sometimes masked as positive theorising, of the Zapatistas., when it’s been known for 5 years at least that Marcos and co. are another protection racket, more all-embracing than most. Take what an Australian woman said of the ’96 encuentros: “… the women doing all the cooking and cleaning, including of toilets, invariably without any footwear (the men had the boots), even after heavy rainfall…Harry Cleaver said “Well, maybe they like it…”…the workshops organised like a bourgeois University – compartmentalised into separate categories like ‘Indigenous Culture’, ‘Politics’, ‘Economics’ etc.…the impossibility of questioning anything openly in the meetings…” She then went on to describe how, when Marcos gave the red carpet treatment to a French journalist who’d just recently slagged off and lied about a wave of strikes in the public sector, a total bourgeois whom Marcos welcomed into his open arms and treated with far greater respect than the vast majority of the French contingent (who, for example, were forced along with lots of others, to endure, without shade, a 2 or 3 hour wait in the scorching shadeless midday sun), the French contingent, the biggest contingent there, revolted a little, and presented Marcos with a letter objecting to this complicity, an insult to the movement in France. A meeting was arranged to discuss this in the middle of the forest at night, in the pouring rain. After some wait, Marcos rode up on horseback with his entourage and, giving a monologue lecture, withdrew the letter from his coat and proceeded to contemptuously read it in a dull monotone (a crude contrast with his normal dramatic poetic style) to the gathering below him, at the end throwing the drenched letter into the mud below, saying “Well, politics forces us sometimes to meet with our enemies”, which says how little this movement embodies a critique of politics. At least one of the French critics was woken up in the middle of the night, ordered out of his tent and was confronted by a few armed Zapatistas, who abused him verbally for his lack of submissive respect for his hosts. Coupled with Marcos’ star treatment of Mme.Mitterand, an even worse bourgeois scum, this seriously dented the illusions of the less ideological participants in the French contingent. In retrospect, one suspects the armed battles in San Christobal de las Casas in January ’94 were in fact bargaining ploys in this political perspective (sacrilege!). Doubtless a future brutal attack by the Mexican State against the population of Chiapas will rejuvenate flagging international support for Marcos and co., and we would certainly feel fury and horror at such a possible brutal development, but the form and content of this nationalist struggle has nothing in common with any independent anti-State activity. The Zapatistas are hailed by the anarchists and other ideologists of the assembly form for their non-hierarchical form of decision-making. They see what they want to see. The genuine desire for mutual self-determination latches onto a form of organising which is certainly necessary in many circumstances but which usually doesn’t go far enough in its refusal of external authority. It ignores the fact that the assembly form has, throughout history, been more than just occasionally compatible with capitalist progress. For example, in Maoist China (the inspiration for the Mexican fore-runners of the Zapatistas, dating from the 70s and 80s) mass self-management within each local commune helped to develop State capital. Significantly, the self- management of local production and distribution was carried out by collective ‘non-hierarchical’ decision-making but within an externally-defined framework whereby the national comprehension and organisation of this production and distribution was the exclusive, and secret, terrain of the Party (however, some of these projects, such as ‘The Great Leap Forward’ , were so weirdly ideological that they hardly helped develop State capital, or, for that matter, anything else apart from an atmosphere of utter fatalism). Mao had his central committee, his distant Zapatista heirs have the secret circle of Indian chiefs. Open Democracy for the Masses – Secret Dictatorship for the Elite – the cry, in different forms, of the ruling class everywhere. Politics, like commodity production, is so precious that it should always be attended by a bodyguard of secrets. The defenders of the Zapatistas claim that they are not opportunists, that they have integrity, that they’re not Leninist – as if many Bolsheviks before they came to power in 1917 didn’t also have integrity and took enormous risks. The point is not that vanguardist manipulators can be defined as purely cynical opportunists (unlike those in Power) but that the logic and practical form of “democracy” allows people to be manipulated – it’s mostly based on the resignation of individuals to the limit of externally defined notions of acceptability, to what everyone else says and does. Usually it involves resignation to those who specialise in taking the initiative and to the experts who can put their nebulous feelings into words. The experts in making speeches only express the lowest common denominator of the mass of individuals at the assembly: the different nuances of autonomous self-expression in struggle never get a word in. Especially because of the fear of being ostracised or made fun of, of being humiliated for daring to criticise those who command hierarchical respect. Manipulation falls on the fertile ground of everyone’s anxiety of being “incorrect”, of making their own mistakes; it falls on the fertile ground of the gang mentality, the corruption of the desire for community. However, the critique of the assembly form can go too much the other way, dismissing mass decision-making in favour of the ‘clarity’ of the communist minority. This is the typical line of the Bordigists, for example. That Bordiga, apparently till the end of his life, supported the crushing of the Kronstadt commune is illustrative of how intellectual, abstract and elitist this notion of the ‘correct’ minority is. Whilst every struggle may have a minority of people who are clearer about the necessary aims of the movement these perspectives have to be argued openly, and a movement should be judged on its practical progress towards these aims, a process over time, not on its failure to spontaneously launch an assault on the totality of commodity relations from the moment of the insurrection, a magical absolutist fantasy that has little practical meaning: an ideology of conversion to an ahistorical truth. Conveniently, the critique of this ‘totality’ of commodity relations that this intellectual perspective involves excludes a critique of the specialists in consciousness. So much for an assault on the totality. Moreover, it’s just as destructive of subversive initiative to submit to the dictatorship of the minority as it is to submit to the dictatorship of the majority.